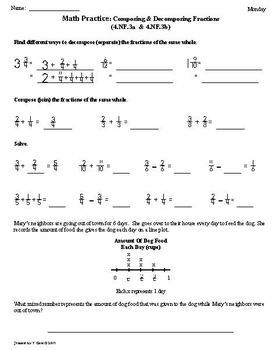 The attachment includes 8 weeks of FOURTH grade common core math practice sheets.The sheets have been bundled for a discounted price. They are the same sheets that I sell individually for $5 a week. 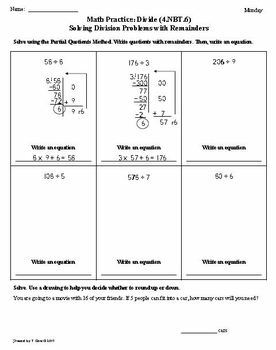 Each week consists of 10 daily math worksheets designed to reinforce math skills during the SECOND 9 weeks of school. There are two sheets for each day that can be copied front and back to save paper. The front sheet focuses on the weekly target skill and the back side of the sheet is a review of previously taught skills. The sheets are compiled in the order they were created. You will find that the weekly target skills spiral throughout the packet as review problems. This particular packet was created for the second 8 weeks of school. I have lots of people that buy my sheets and reorder them to match their own state or county pacing guide. 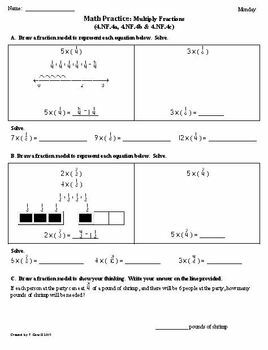 I created this packet in the order below. 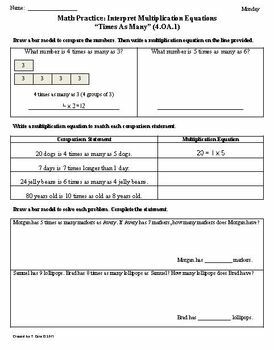 Week 1 - Target Skill: 4.OA.1 Comparing Numbers "Times As Many"
Week 9 - No sheets are included. Review Week using sheets in packet not used throughout the 9 weeks due to Holidays and Workdays. In all, there are 80 sheets in this workbook packet. You can purchase each Common Core Standard separate if you would like certain ones and not the whole workbook. **Please note that there is no answer key with these sheets. If you need assistance with a problem, you can email me at tsgent@gmail.com.